Where each child has hope. is respected. can succeed. is loved. is celebrated. Space is limited – contact us today! Have you been searching for a place where your child can be and feel successful and accepted? Elim might be the oasis you are looking for. At Elim we celebrate learning differences, embrace academic challenges and address the needs of the whole child. One reason Elim is recommended … is that the teachers are very helpful. If you are stuck on a problem in math, or you have trouble pronouncing a word in language arts, the teachers can help you out some. As you progress further and further, they’ll still help you out, just not as much. The school feels more like a family with dedicated, skilled and caring teachers accepting, guiding and pushing students to grow spiritually, academically, and socially. Elim has been a wonderful place for our son to not only learn but to feel loved, encouraged and inspired by his compassionate teachers. You feel God’s touch on everything they do here. I’ve learned so much at Elim about loving others, loving God’s creation, loving myself and loving my neighbor. 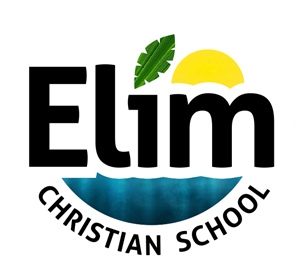 I’m grateful that my last two years of high school have been at Elim Christian School. Check out our Facebook page to see what we’ve been up to! Elim Christian School shared a post.